My check list has a few pick ups left to go.. jumbo sticky notes- who knew... 20" x 23" post it notes... how cool is that.. makes for a terrific flip chart... stick'n on the wall... tada!!... ready to go.. So, off to the yarn winder I go... later.. 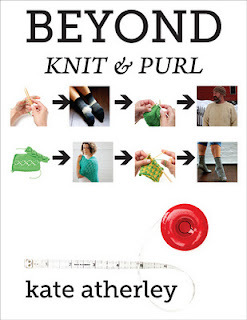 Beyond Knit and Purl- what a fabulous book... 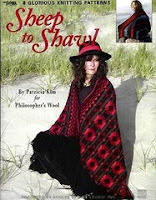 I have ordered these books for the KnitFest workshop. Buy your copy on the day of and Kate will personally sign your very own copy. I also missed Jan's grandson's Bibbed Trousers. They are so cute in royal blue. I will have a pic for next week. Heather designed a beautiful Noro Cowl Entrelac - pattern coming - It is so wonderful. I just love the way the Noro colours flow together. Can't wait for Thursday group to arrive... and what will the next topic be about? We started with Carol's treats- sour cream coffee cake.. anytime Carol..
Is it March? are you sure? We are making these into kits and including a jar of Beaver Valley Gold honey from our local producer. It's a fun little thing these boot cuffs... since my daughter mentioned them I've had such fun making up designs. Having fun with colour is so much fun... watching the changes in both colour and lace... I can't wait for the collection to arrive. 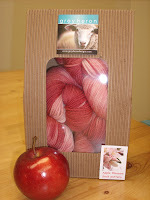 We have a colourwork class coming uo at KnitFest Spring 2012 with Glenna C. I thought I would start on a few kit pieces for the colourwork class to purchase. Donna and I did a little "knit jam" session and came up with a corrugated rib cuffed fingerless fair isle. The heather brown main colour and variegated contrast look great together... and so the Rustic collection gets a leg up. It's not just about creating a pattern, taking pictures - now I have to take my hieroglyphics and make some sense of it. With the little scribbles here and there - a few false starts - my pattern writing will take over my afternoon. Our Comax BC daughter tells me that boot cuffs are all the rage on the ski hills @ Mount Washington. I jump right on that. Karen has two Bernese Mountains dogs - Canuck and Taya... so I chose these colours as they reminded me of the Berner colours. With a little false start the knitted creation takes form. Of course this leads me to a cowl pattern, a hat with the dble coloured ribbed band, perhaps fingerless with a matching cuff... you see a knitters job is never done- good thing because it's great fun!! Every year since moving into our house we have a flock of 40 - 50 cedar waxwings land in our crabapple tree for a feed up. Today was the day. In the middle of high winds, blowing snow and rain the waxwings are hanging on for dear life in this old tree, along with our resident robins who didn't fly south this year. The four robins were in the tree protecting their fruit as best they could. The waxwings were having a great time frolicing about. The ground is littered with berries which my guess is the robins will enjoy over the next couple of days. Once Jim figures out his new camera I will post the actual tree photos. 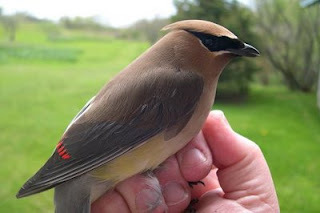 Until then, here's what a cedar waxwing looks like.